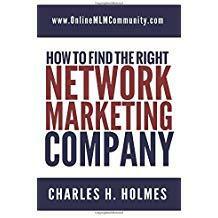 Building roots and strong legs in your MLM Group is vital for your long-term success in the industry. Ultimately, you want three to five legs in your team (minimum) that are EACH hundreds of levels deep with thousands of distributors in each leg. This is where your long term security and profitability come from. Look at most six and seven figure earners in our industry and most of them earn 90% or more of their income from three or less legs, even if they have personally sponsored hundreds of people. That’s a fact. If I had to choose between having 100 people personally sponsored with no depth or 10 legs that were each 10 levels deep, I would choose 10 legs each 10 levels deep. Having five legs that were each 20 levels deep would be an even better option. Width might give you immediate income, but the big money in our industry comes from building large teams in depth. Never forget that. If you are just recruiting on your front-line, that is direct sales. Network marketing is about building teams. When you sponsor someone, you want to help them sponsor a few people as QUICKLY as possible. The sooner, the better. Most people will quit within 14 to 90 days if they haven’t sponsored anyone. You want to help your new team members sponsor two to five distributors and find a few customers. Once you do that, you immediately want to shift your efforts and work with their most excited person. Next, you want to repeat the exact same process with their new person. Help them sponsor a few people and find a few customers and then start working with their most excited person. You keep repeating this process over and over in depth and NEVER stop. Every month you should be working at the bottom most point of each leg in your group, with the newest most excited person. And every month you should drive each leg of your group another two to five levels deeper. This creates a fire in the basement and keeps EVERYONE above them excited and motivated. Light a fire in the basement and watch the heat rise. This gives the people above them something to lose. From personal experience, I’ve found the fear of loss to be the best motivator. Very few people will quit the business with a large team under them, even if they aren’t making any money from that team. If possible, you want to drive each leg AT LEAST 20 to 50 levels deep, minimum. 100 levels deep is even better. The beauty of doing this is that you will find LEADERS in depth who do what you do and as a result, your business will EXPLODE. Typically, your best people won’t show up until level 10, 20 or even level 50. Of course, this won’t happen overnight. It will take you a few years or more to get a leg that deep, but once it’s built, you are really set. This is where the term “walk away income” comes from. I believe that if you can drive three legs at least 100 levels deep you will have walkaway income in your business. And you will have a rock solid bonus check each month. In the beginning of building your team, you will probably have to personally sponsor minimum 50 to 100 people to find five to ten serious people who will let you work with them and do what I just explained. Once you have your serious people identified (they identify themselves), you want to explain your game plan to them and start building depth immediately. Until you have several legs that are DEEP, your business will be unstable. If you have a large front-line, but no depth, you won’t earn anywhere near the type of money that you could. And your business could easily crumble. To put things in perspective think about an oak tree. Oak trees can grow to be enormous. However, what you see ABOVE the ground isn’t as big as what is below the ground. These oak tress have a huge root system DEEP into the ground. That is what makes the tree above ground stable and strong. The same holds true in your MLM Business. Just remember to go wide fast, until you have five to ten serious people. Once you do that focus on building depth and taproot legs. And remember, even if you only get paid on your first 10 levels, it still makes sense to drive your legs 100 levels deep. These folks will roll up and become part of your team when people above them leave the business. It also gives you added security. What are your thoughts about building strong roots in your business? Leave a comment below to let me know what you think. I look forward to hearing from you. I believe that the point of this post is a great one: to not only concern yourself with recruiting people, but to also develop them and help them recruit their own teams. Be generous with your time and knowledge, and try to help those under you know the business and do the job as well as you do. You can only be as strong as your root system (or your legs). Make sure that each one is as strong as it can be, just in case another falls away. This is great advice. It definitely helps to work with your people and help them become successful. If you help others be successful, you will also be successful. This makes so much sense Chuck. If we build strong legs and roots and teach our legs to do the same, success is likely. Working with every one and showing them how to do it will create a system that is unbreakable. Even if one of your people leave, you will have many more legs still supporting the body. It seems to me this would be common sense, but we all need basic training again every once in awhile.